Animalcouriers works within the guidelines and to the approved standards for each type of animal we transport. We are authorised as an animal transporter by the UK government and our vehicles are regularly inspected by Defra. 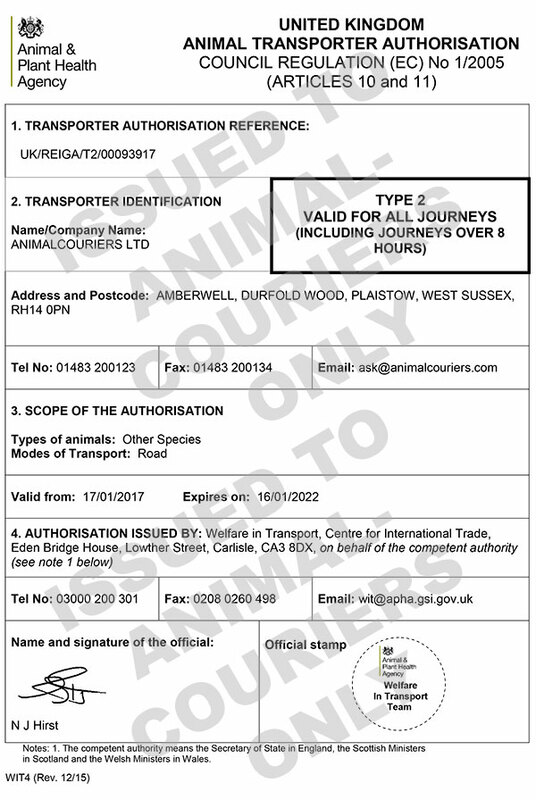 Animalcouriers is a Government-authorised animal transporter with a UK State Veterinary Service Type 2 Authorisation — an internationally recognised authorisation that covers livestock as well as domestic pets. This means we are authorised to transport animals within the UK and throughout the European Union and the rest of Europe, over both short and long distances. Our customised vehicles are Defra authorised and regularly inspected. 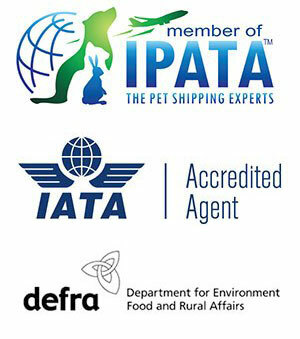 Our team members have Certificates of Competence to Defra standards for handling and managing animals. Animalcouriers is a member of the Independent Pet and Animal Transportation Association (IPATA), an internationally recognised organisation of animal handlers, pet moving providers, kennel operators, veterinarians and others who are dedicated to the care and welfare of pets and small animals during transport. We follow International Air Travel Association (IATA) guidelines for the air transport of animals. Animalcouriers is an accredited IATA cargo agent and can offer competitive rates with all airlines that provide pet air travel. Individual couriers within the team hold personal Certificates of Competence for transporting livestock (goats, sheep, pigs and poultry).